Let us pack your picnic! You provide the drinks and we’ll provide the rest in the American Picnic. 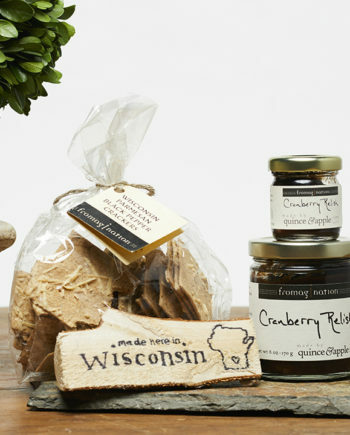 A delightful picnic filled with sweet and savory treats from Wisconsin and beyond. 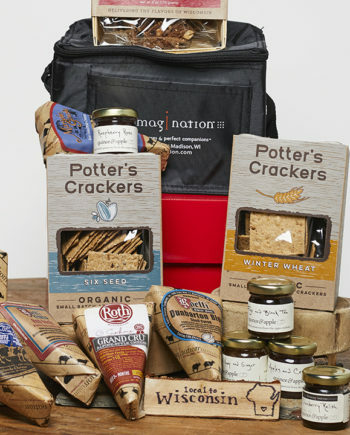 Features: Effie Oat Cakes, Underground Meats Goat Salami and French Saucisson Sec, Lark Cookie Trio, Collective Goods Cheddar Crackers, Fromagination Wisconsin Parmesan Crackers, French Moutarde Mustard, Quince and Apple Preserves, 3 jars: Pear, Ginger & Honey, Cranberry Relish, Fig & Black Tea; Wisconsin Cheese Collection, ½ lbs. of each of the following: Uplands Pleasant Ridge Reserve, Hook’s Five-Year Cheddar, Roth Private Reserve.